Going to jail is something that most people try to avoid where possible, but if you’re in Oxford, a night or two in prison is certainly recommended by BoutiqueHotels.co.uk. 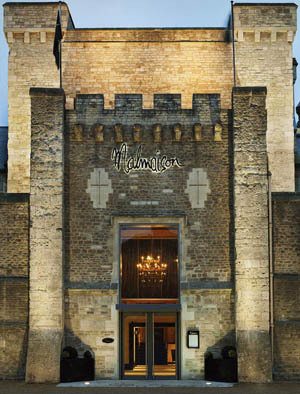 Boutique hotel chain Malmaison run a boutique hotel from what was a prison with a history stretching back to the Norman times. The city gaol was originally part of a medieval castle that fell into ruin and a new prison was built in the 18th century and further redeveloped in the 19th century. Until 1996, it was HM Prison Oxford. Now Malmaison Oxford uses the stunning architecture of the former prison along with its usual mix of superior comfort and service to create a hotel experience that’s unforgettable. 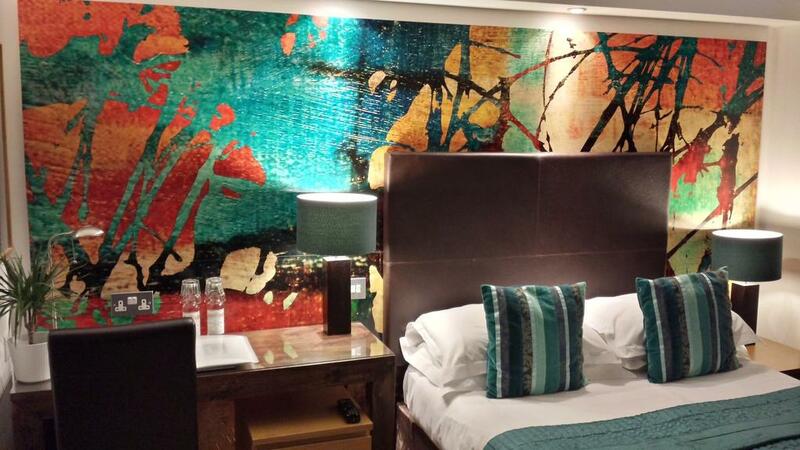 There are 95 rooms in total with a wonderful restaurant and trendy cocktail bar. If the novelty of serving time isn’t for you, you might prefer the Old Bank Hotel on Oxford’s High Street (one wonders if any former residents of the old gaol were there for robbing the old bank?). With sumptuous furnishings throughout, the Old Bank is very centrally located in Oxford, making it a great location for shopping and within very easy reach of Merton, All Souls, University and Oriel colleges. 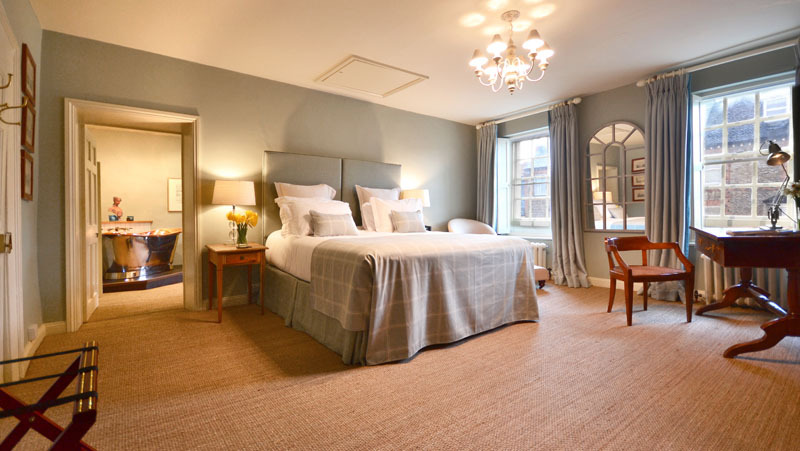 The Vanbrugh House Hotel is in St Michael’s Street and offers 22 beautifully appointed bedrooms and suites including two which have their own city garden and terrace areas. The hotel is actually a collection of three buildings brought together to create this boutique establishment. Two of the properties were Grade II listed and third, the original Vanbrugh House from which the hotel takes its name is Grade II* listed. Whether this grandiose baroque beauty was designed by Vanbrugh himself or inspired by his nearby Blenheim Palace seems unclear but it undoubtedly makes for an attractive addition to the boutique hotel scene in Oxford. 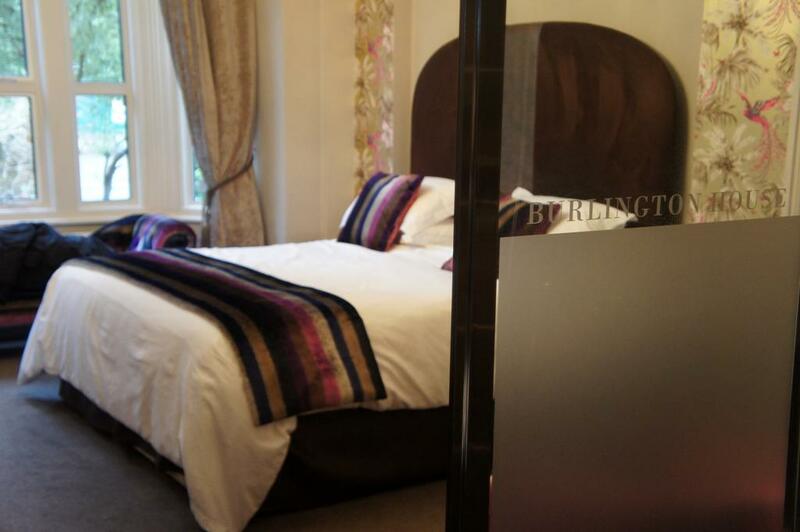 Five star Burlington House (*****) is a luxurious bed and breakfast in the Summertown area of Oxford. 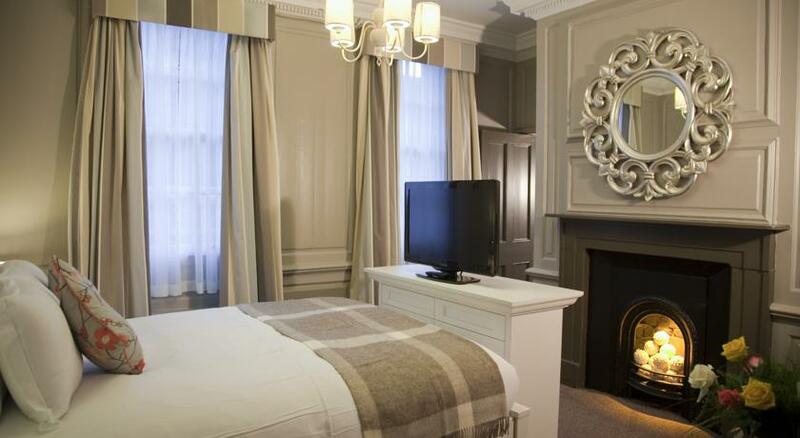 With 12 gorgeous bedrooms, Burlington House was once a Victorian merchant’s house. Burlington House is a recipient of the AA’s Top Egg Cup in recognition of its superb breakfasts made with locally sourced products and home-baked bread. Also in the Summertown area, which is about two miles from Oxford city centre is the independently owned Remont bed and breakfast. The guesthouse has 25 en suite rooms, all with a chic, modern look and feel which is complimented by a Mango wood desks and free wifi throughout. The Remont also boasts its own off street parking, and a secluded garden area overlooked by the dining room. 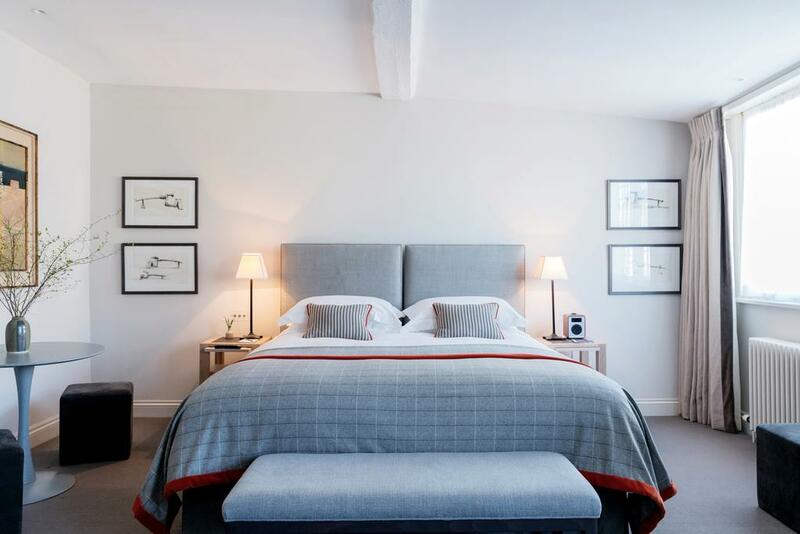 Seven miles out of Oxford is the pretty market town of Woodstock which is where you will find the beautiful Glove House (*****) boutique bed and breakfast. This delightful B&B is in a Georgian townhouse which can trace its history back four hundred years including a spell in the 19th century when it was used as a glove workshop. The Glove House, just a short walk from Blenheim Palace, has three elegantly furnished rooms, all providing a luxurious and comfortable stay. Breakfast is made using local, seasonal produce and is served in a walled garden during the summer months.